Students-and their teachers-encountering literature and arts from unfamiliar cultures will welcome the special help this book provides. Instructors who are unfamiliar with Asian Pacific cultures are now being asked to explain a reference to the Year of the Rat, Obon Season, or to interpret a haiku. When Amy Tan refers to the Moon Lady or the Kitchen God, what does she mean? Is Confucianism actually a religion? This book answers these and many other questions, for students, teachers, and the librarians to whom they turn for help. The Companion presents lengthy articles-written specifically for this book-on the topics that unlock the work of a number of contemporary Asian Pacific American writers and artists, for example: Asian naming systems, the "model minority" discourse, Chinese diaspora, Filipino American values, the Confucian family and its tensions, Japanese internment, Mao's Great Cultural Revolution, the Korean alphabet, food and ethnic identity, religious traditions, Fengshui and Chinese medicine, Filipino folk religion, Hmong needlework, and reading Asian characters in English, just to name a few. 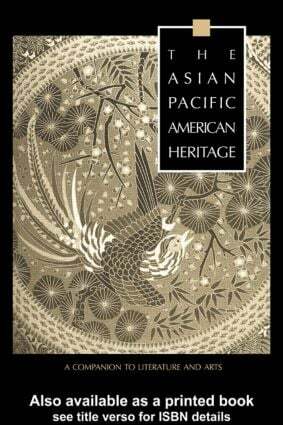 The articles are coupled with in-depth studies of the authors most likely to be part of the multicultural curriculum during the next decade, among them Maxine Hong Kingston, Frank Chin, Amy Tan, Younghill Kang, Carlos Bulosan, Jessica Hagedorn, Lawson Fusao Inada, Garret Hongo, David Henry Hwang, Kim Ronyoung, and Cathy Song. This volume was created under the supervision of distinguished Advisory Editors from the Asian Pacific American community. The contributors, a Who's Who of Asian Pacific American humanistic scholarship, are frequently the founders of their disciplines, and most are from the ethnic group being written about. Multicultural courses are generally taught by exposing students to literature or arts, with reference to their political, sociological, and historical contexts. This book is designed to help students reading novels, watching films, and confronting artworks with information needs quite different from those of social scientists and historians. George J. Leonard is a Professor of Interdisciplinary Humanities at San Francisco State University, and has taught at Yale, Scripps College/Claremont and in Beijing. Among his many scholarly publications, including Into the Light of Things: the Art of the Commonplace from Wordsworth to John Cage, Leonard is also the author of popular novels, Beyond Control, (Macmillan) and The Ice Cathedral (Simon and Schuster).